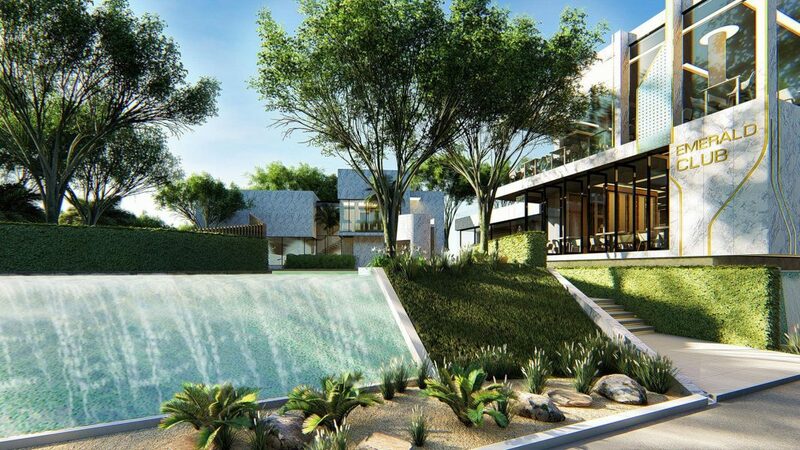 Emerald Bay is the first CONVILLA project in Thailand and focuses on ‘living solution’ asking How, Why and What are the living solutions to provide happiness in your living environment. 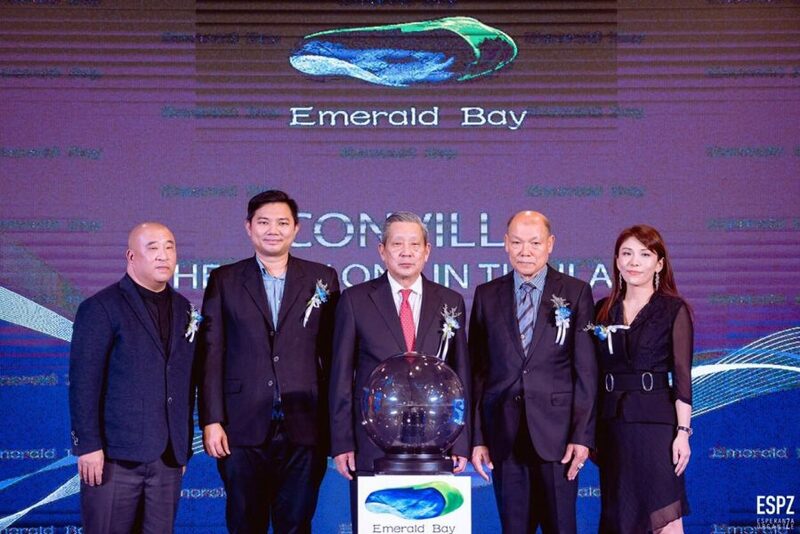 The team behind Emerald Bay are XJ Development Co., Ltd. Established in 2015 as real estate developers with a goal to develop within the boundary of EEC zone (Eastern Economic Corridor) and also other areas. 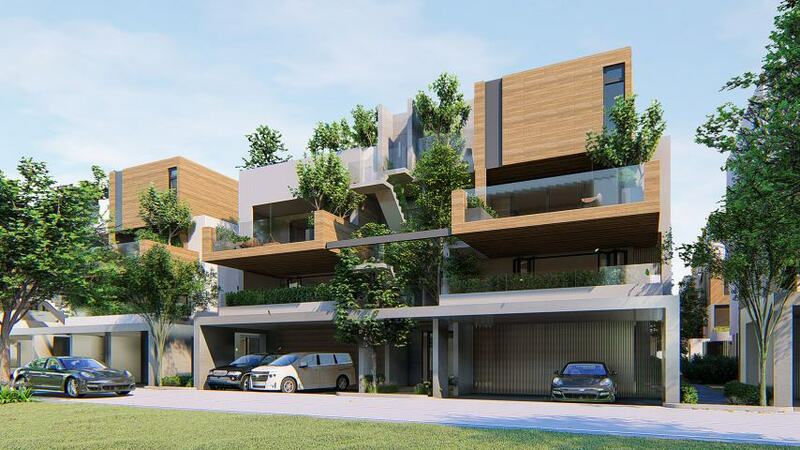 With distinct and innovative designs CONVILLA provides a new way of living giving the mix between condominium and villas for the perfect solution to all. The unique concept is detail oriented for the first time combining condo and house living. “Zongxia Group has a long-standing reputation for the past 30 years. The company has been very successful in real estate, trading, mining, finance, etc., and is well-renowned as a business with a reliable level of AAA for many years and has grown into international markets. “We chose Pattaya because of potential, it isn’t just tourist city but also an economic city of the eastern region with the industrial area and the development of U-Tapao Airport, Pattaya-Hua Hin Ferry (pier), world-class golf courses and beautiful beaches. The development of the EEC and the Bangkok-Chonburi corridor is another huge plus for both business and the tourist market and we aim to be part of this. “Obviously many Chinese are now coming to these shores and the condo market is boyant however many are looking for larger condo’s and with CONVILLA we feel we can bridge that gap in the market, combining the two. Privacy, safety and peace of mind are key components and very important at CONVILLA with extensive areas being given over to ensure this. 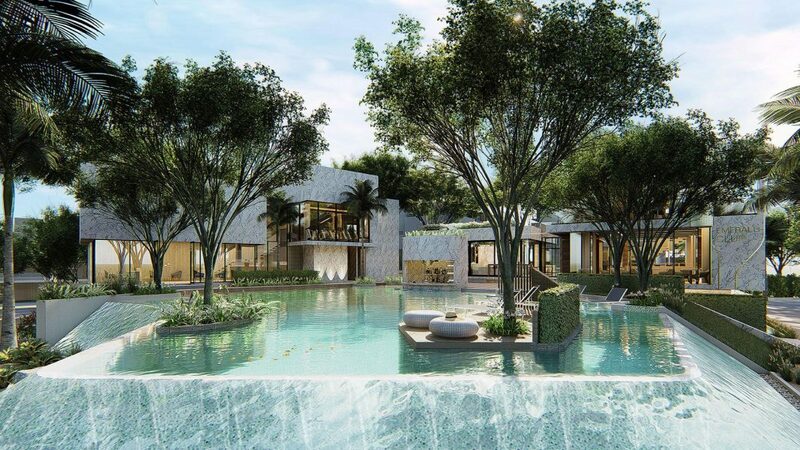 Redefining Eco-Modern living standards is a tagline at CONVILLA with all areas surrounded extensively by private gardens, easy pool villa access, exercise and relaxation areas in a natural ‘back to nature’ environment. 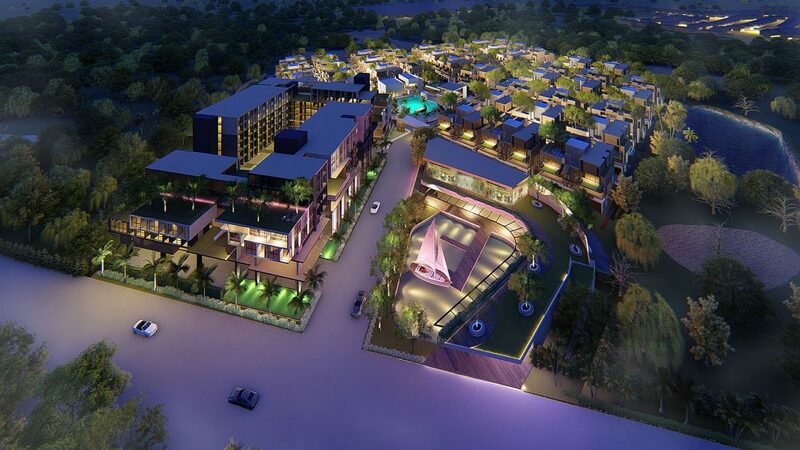 The Project Emerald Bay Pattaya is located in Na Jomtien on a 25rai land plot. 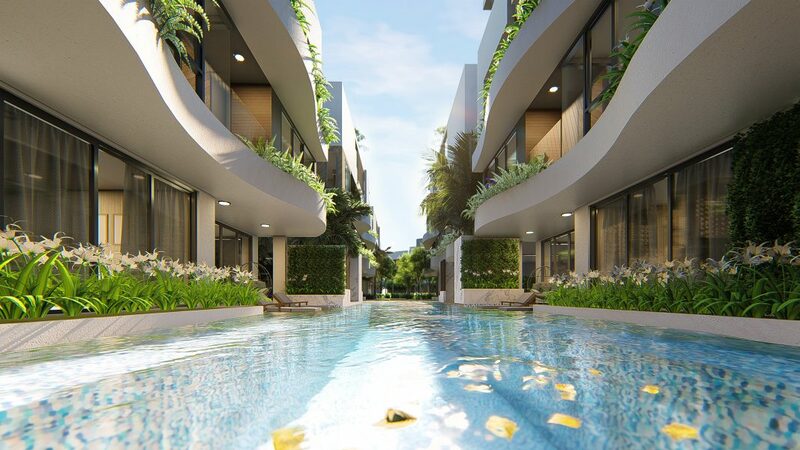 There are three CONVILLA designs, all with swimming pools, and from two-three bedrooms with total capacity of 215 units. 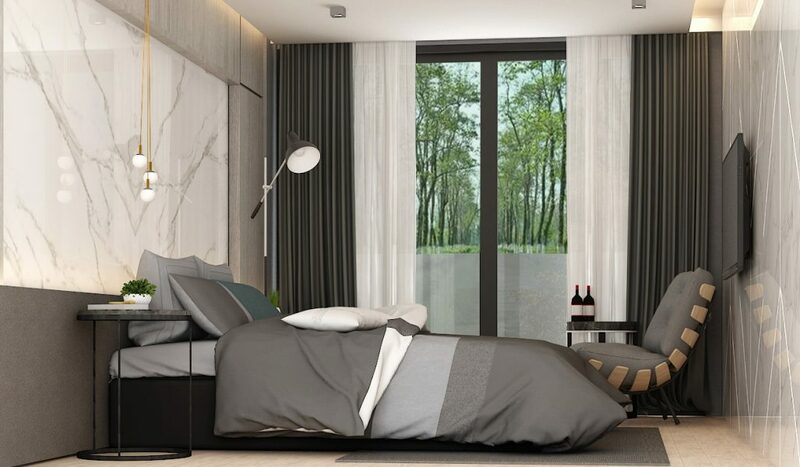 The living space is 133.65-298.05sqm and the low-rise condominium will be on seven floors over two buildings totaling 301 units with three unit styles starting at 39sqm for a one-bed and up to 50sqm for a two-bed. The low-rise condo will also feature a rooftop bar and pool as well as fitness facilities and a restaurant. Developer: XJ Development Co., Ltd. 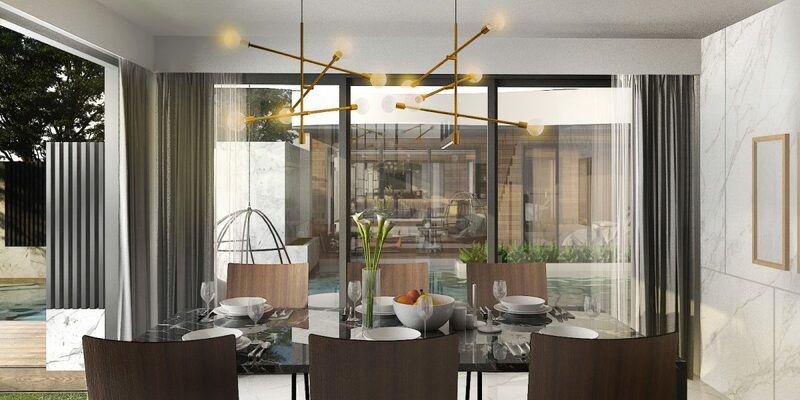 Floor to floor height: Residential floors 2.9 m.
Dining room with pool view.